This is going to be one of the few times that I’ll tell people to read my Goodreads review and won’t include it on here. I started the review over there and it’s so much easier since I’d have to tweak things too much. 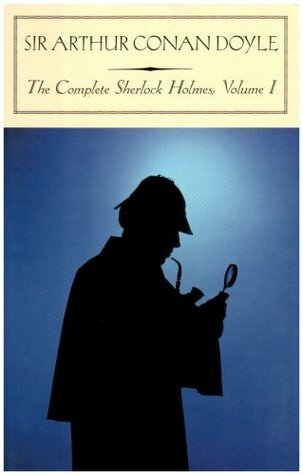 The only full story I like is The Hound of the Baskervilles. Every other full story has too many issues and not enough of a mystery to drag it out that long. The short story anthologies are so much better than the full-length stories. They’re just perfect and Doyle is masterful with them. While I say I love the heart of The Memoirs better (aka showing Sherlock as fallible), I actually rated the short stories in The Adventures higher. I tend to like the stories best that show Sherlock as different or failing since he’s always seen as an infallible character when he’s extremely flawed on most accounts. Other than that, I do enjoy these stories. That all started because of BBC’s Sherlock, a show that I don’t watch anymore and happily read about whatever crap they come up with for the seasons. Overall, a solid first volume and I’m really excited for the second volume since I haven’t read any of those stories.